The Akhil Bharat Hindu Mahasabha on January 30 celebrated the death anniversary of Mahatma Gandhi by shooting an effigy of Bapu. 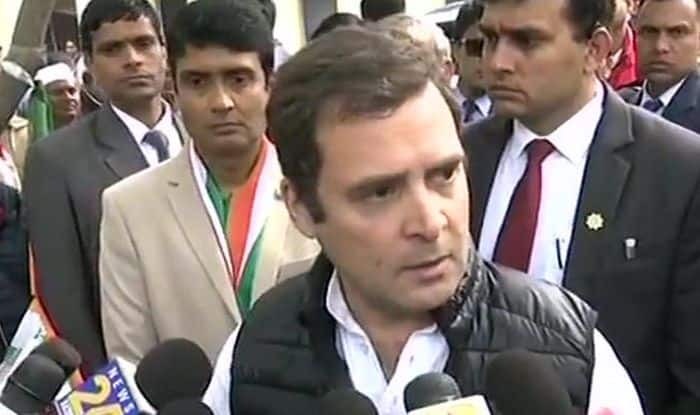 New Delhi: The Congress will hold a nationwide protest on Monday, February 4 from 10 AM in all the state headquarters, to protest against the members of Akhil Bharat Hindu Mahasabha who used a pistol to shoot effigy of Mahatma Gandhi and garlanded the statue of Nathuram Godse on January 30 in Uttar Pradesh. Meanwhile, Congress has also issued a three-line whip for its Lok Sabha MPs, asking them to be present in the House from February 4 to February 8. The Akhil Bharat Hindu Mahasabha on January 30 celebrated the death anniversary of Mahatma Gandhi by shooting an effigy of Bapu. The fringe group celebrated the martyrdom of Nathuram Godse, who killed Mahatma Gandhi on January 30, 1948. Hindu Mahasabha national secretary Puja Shakun Pandey shot at an effigy of Mahatma Gandhi while celebrating ‘Martyr’s Day’ in Uttar Pradesh’s Aligarh. Blood was seen coming out of the effigy after Pandey shot. As per reports, Pandey had also distributed sweets among her supporters and fellow Mahasabha members. The entire nation observed Mahatma Gandhi’s death anniversary on January 30. Mahatma Gandhi was assassinated on January 30, 1948, at the age of 78. Nathuram Godse was found guilty of murdering him and was executed the following year.